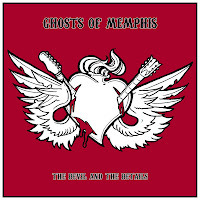 Local veteran musicians Trevor Howard and guitarist Gerry Finn (Helix, Killer Dwarves) have teamed up to form Ghosts of Memphis. With this cool name, comes a really cool debut album, The Devil and the Details. The group has created a great singer/songwriter sound with an alt-country attitude. There's also a lot of roots rock blended in for good measure. Every song is a lyrical story sung with Trevor's passionate voice and backed up by Gerry's stunning guitar work. You can also hear banjos, slide guitar, piano, and much more. The album is available as a download on iTunes and eMusic. Legends Revealed: What Dramatic Method Did Kris Kristofferson Use to Get Johnny Cash to Pay Attention to His Demo Tapes? Hamilton rocker Dave Rave has once again united with Canadian/NYC guitarist Mark McCarron for another great, smooth and soulful album. 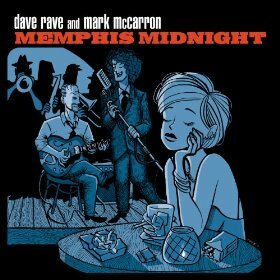 Memphis Midnight, like its predecessor In the Blue of my Dreams, is filled with stunning jazz-pop. This time around though, they've amped up the energy quite a bit. Catchy melodies are intermingled with funk, rock, swing (great use of horns! ), and even a touch of the psychedelic. It's great to see this side of Dave Rave. Though you know he can rock it out with the best of them, the man can definitely be soulful when he needs to be. Long time Hamiltonian Steve Strongman and new Hammertown residents Elliott Brood have brought home the Junos! Steve won for best Blues album and Elliott Brood was awarded for Roots Recording (Group). Area band, The City Harmonic also won for Contemporary Christian/gospel album. On top of that, Steel City rockers, Monster Truck received the nod for Breakthough Group. Congratulations guys! You make us proud! Shortly after losing the legendary Stompin' Tom, Canada has lost another musical icon. The incredible Rita MacNeil passed away April 16, 2013 after complications from surgery. Our condolences to her family, friends, and fans. She will be missed. Click here for the CBC story. As always, reaction was swift on social media. Here are a few highlights. John M Crawford: "I am so devistated that Rita McNeil is gone. What a voice and an entertainer we lost. God bless her family and thank you Rita for giving us such wonderfull music." 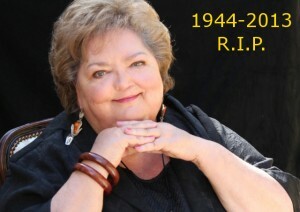 Tia McGraff: "OH I am so sad to hear about the passing of Rita MacNeil. She was one of Canada's most amazing voices and songwriters." Stephen Fearing: "So long Rita MacNeil. You were a sweet soul with a voice to match it. RIP." Jann Arden: "Love you Rita MacNeil! Such an honor to do your show many times in the 90ties!! Brilliant writer, wonderful singer! Safe travels!" Eric Alper: "There was no finer, kinder, authentic woman I have ever worked with than Cape Breton's Rita MacNeil." Click here for Rita's site. 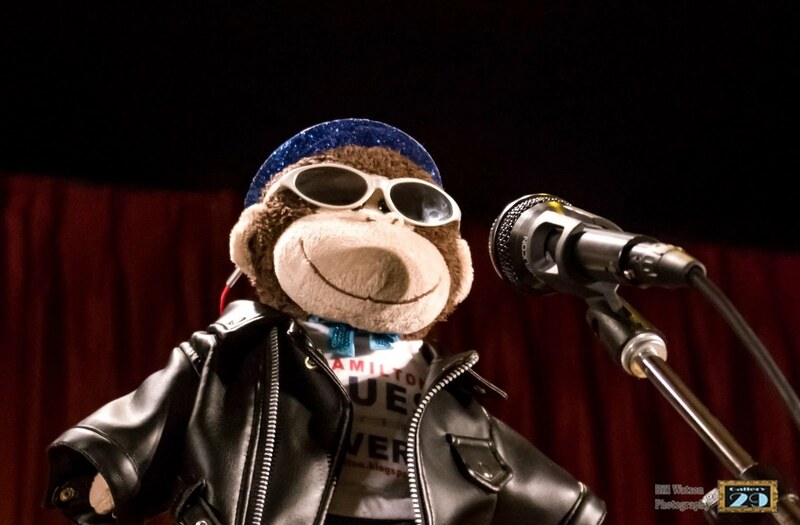 They were opening up for Fred Eaglesmith. We'll have his videos up soon. 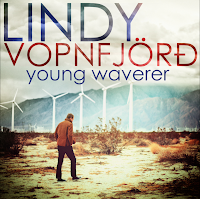 Young Waverer, the latest CD from local singer/songwriter Lindy Vopnfjord (aka "Lindy") has many beautiful layers. Underneath it all is an unmistakable folk and singer/songwriter vibe. Lindy has crafted some impressive tunes with a stunning storytelling touch. Built on top of that sonic foundation is a modern, quasi-alternative pop sound that meshes well with his expressive vocals. Most of the songs are wonderfully infectious (especially Warsaw's Blinking Lights and On My Way Back Home). There are some remarkable slower numbers as well (Lover Sister and May Not be Right). Lindy enlisted a few of his bandmates from Major Maker and Luke Doucet (Whitehorse) to help create his unique vision. The CD can be downloaded through his web site or iTunes. Below are a few videos from the recordign courtesy of Stellablu477. Hamilton-born Daniel Lanois will receive a well-deserved Governor General’s Performing Arts Awards for Lifetime Achievement. His stellar career includes his own amazing recordings as well as producing U2, Bob Dylan, Neil Young, and other luminaries. Congratulations! Other recipients for this year include actress/director Sarah Polley and Eric Peterson from TV's Corner Gas. Those honoured receive a a commemorative medallion and $25,000 from the Canada Council for the Arts. Click here for the CBC story, which includes an interview with Daniel. Click here for Daniel's page on the awards web site. Above video includes a performance by local musician Mark LaForme (2:26). 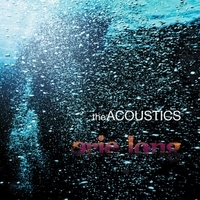 Talented local band the Acoustics have made a giant leap forward with Erie Long, their latest CD. Known as a top-notch instrumental group with a world-music sound, they've challenged themselves to explore new territory. By far, the biggest change has to be the addition of vocals on 8 of the 14 tracks. Guitarist Enzo Spoto stepped up to the mic and proved he possesses an incredible voice and some major songwriting skills. There's also new elements of folk, rock, pop and more added to the proceedings. Don't worry, the Mediterranean-style music you know and love is still here, especially on the instrumental tracks. The high-energy, danceable, party vibe still lingers too! The CD can be purchased at their live shows and cdBaby, it can also be downloaded through cdBaby and iTunes. Below is a video from the CD. Canada's Goddess of the Blues Rita Chiarelli will soon be increasing her list of accolades (which already include Juno nominations). The Hamilton singer/songwriter will receive the Festitalia Italian Heritage Award of Distinction for Arts, Culture and Entertainment on June 6, 2013 at Michelangelo’s. Click here for the full story on the 2013 awards. 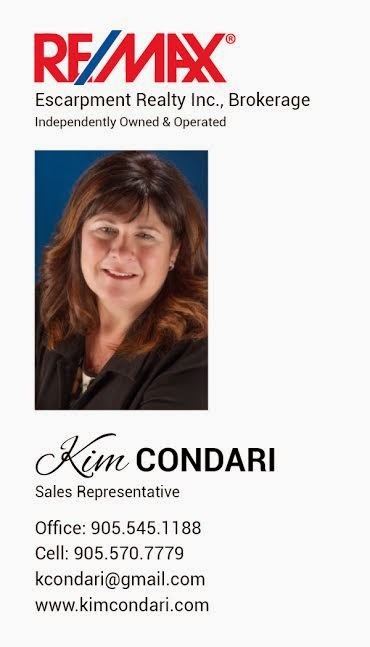 According to the organization's web site, the honour "recognizes the leadership of men, women and youth of Italian ancestry or Italian affiliation who contribute to the development and well-being of others and the overall improvement of the community." Rita has definitely made many outstanding achievements in her field. Complimenti (congratulations). In a related story, the veteran blues queen was recently featured in a story about "Italian Folk Music Today" from PRIMO magazine. 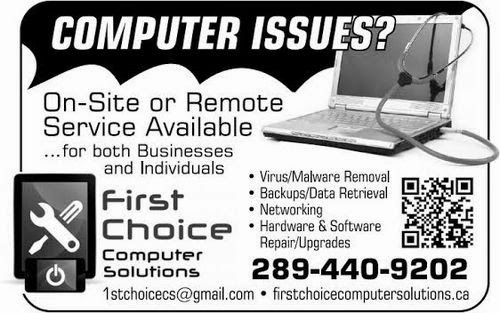 Click here to view the article. The Fire, the latest EP from local singer/songwriter Marie Avery is ignited by the artist's striking voice. Her accomplished piano work also adds fuel to the flame. 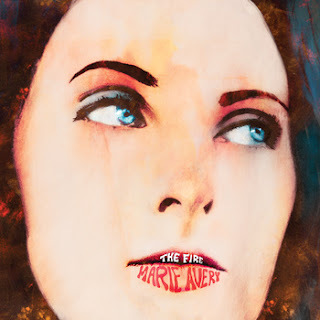 Though this blazing EP has an indie-pop ambiance, Marie still grounds it with solid, poetic songwriting and classic structure. You can also hear a lot of jazz and a bit of broadway in the mix What comes through is a beautiful, honest recording full of surprises. Backing her up is a great team of area musicians, including Bill Majoros (Foreign Films) and Carl Jennings (Freedom Train) - both of whom produced the EP. Kori Pop, Amber Edgar and Loretta Hale (Loretta Hale Big Band, J-Tones) join in as well. This collection is available as a download on her Bandcamp page. Legends Revealed: Did The Band Behind the Hit Song “Na Na Hey Hey Kiss Him Goodbye” Not Even Really Exist? Since we haven't featured Mark Lotterman before, here are two videos from his YouTube page. Local Singer/Songwriter duo Whitehorse (Luke Doucet and Mellisa McClelland) wanted to do something special to celebrate their current tour. Since their travels would take them to Massey Hall for the first time, celebrating the legendary venue seemed appropriate. 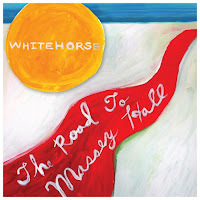 As a result, Whitehorse's fans are being treated to The Road to Massey Hall EP. Luke and Mellisa put their own unique stamp on classic songs from performers that have played the fabled Toronto landmark. Songs include Neil Young's Winterlong, Gordon Lightfoot's If You Could Read My Mind, Dark Angel by Blue Rodeo, Bob Dylan's It Ain't Me Babe, Strawberry Blonde by Ron Sexsmith and Un Canadien Errant, a french-language song written in the mid 1800s. The amazing EP is availble as a download on iTunes or Six Shooter Records. When Pope Benedict XVI announced his retirement, reports came out that he wanted to concentrate on music. Everyone probably assumed it would be writing church hymns. Boy were they wrong! The ex-pontiff has decided to start playing some good ol' rockin' blues. In a wonderful turn of events, he'll be using local musicians to back him up and will be touring the hammer as well. Since beloved Hamilton Blues Lovers Inc. C.E.O. and blogger, Lou is also the music consultant for the Vatican, Benedict approached him for help. "Benny, as I call him, told me he wanted to use only the most wholesome and virtuous musicians available " Lou explained, "That's not too hard to find in our little home town so I managed to finagle quite a respectable band for him." Pope Benedict himself will be handling the lead singing and rhythm guitar duties. The rest of the band includes Brian Griffith (lead guitar), Jack Pedler of Teenage Head (drums), Matty Buzanko of the Rest/Overplayers (bass) and Corey Lueck of the Smoke Wagon Blues Band (harmonica/backing vocals). 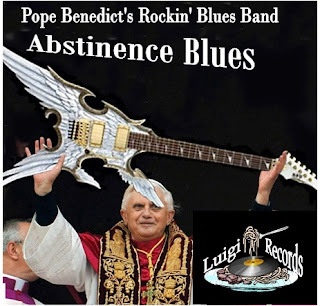 The gang worked hard before his holiness's retirement to unleash his debut blues CD, Abstinence Blues (through Luigi Records). They recorded such amazing hard-rockin' songs as Soul Man, No Nookie Tonight and a reworked version of a Teenage Head classic entitled Teenage Rosary Praying Party. Lucky for Hamilton, Benedict has decided to start the tour in our fair city. It kicks off with a CD release party at Our Lady of Muddy Waters parish on Calloway Drive . Opening the show will be the amazing Banned From Heaven. Festivities start at 5pm and as the ex-pope said, "If we're feeling frisky we'll be playing really late, maybe even 'til 9pm. It's OK - After all, we're on a mission from God!" Other stops of the tour include St. Jake's, St. Elwood's, and the Cathedral of the Immaculate Banjo. Please contact the band's manager April Fulcilli at afulcilli@luigirecords.com for tickets.